Let these gratitude quotes express your thanks and appreciation for all that you have and for the people who encourage and inspire you. 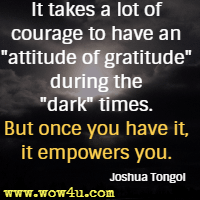 Gratitude also helps take care of emotional business of negative things in our lives. Philip Watkins, Ph.D.